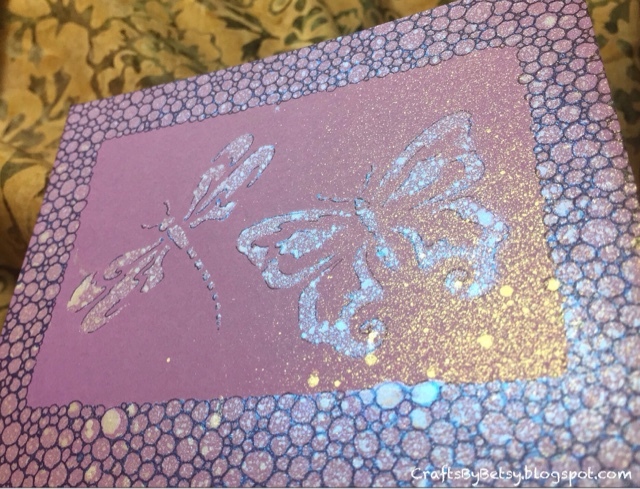 This is from my stash of magic bits, or art just waiting to happen....Sometimes I start something and don't know where to take it at the moment, so it waits patiently until I do. 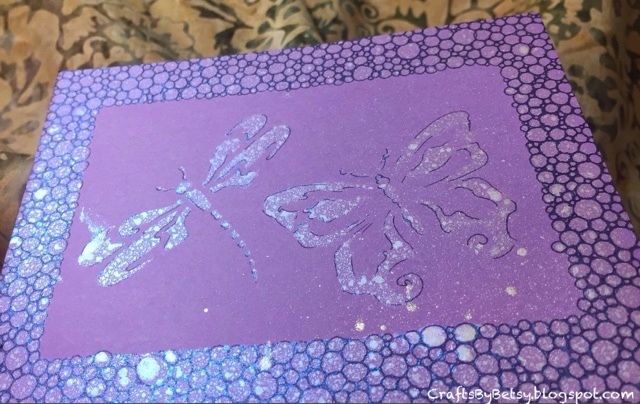 I sprayed this with iridescent ink through a metal stencil by American Traditional years ago. Recently I pulled it out and outlined and tangled over it with a Pigma micron. 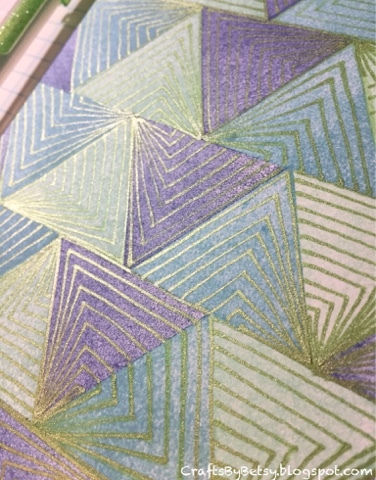 The iridescence makes it look so different depending on the angle the light hits. You can even see some gold overspray here that adds so much (at the time I'm sure I thought it was a mistake). I likely found this leaf stencil while pulling out a magic bit for a friend. Turned out I had two; one to send to my friend and one to play with myself. 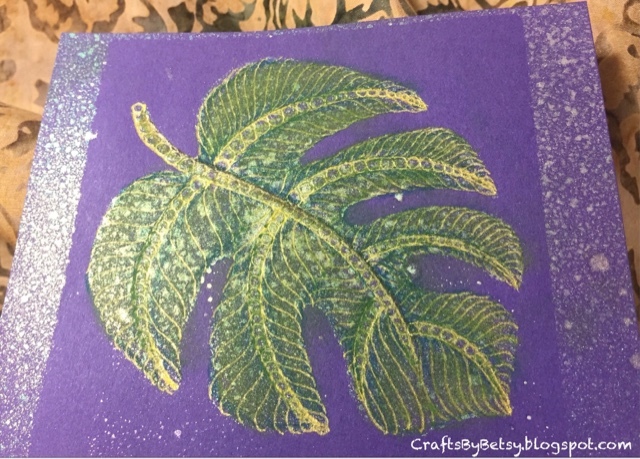 This leaf started similarly with ink sprayed over a brass stencil by Dreamweaver. 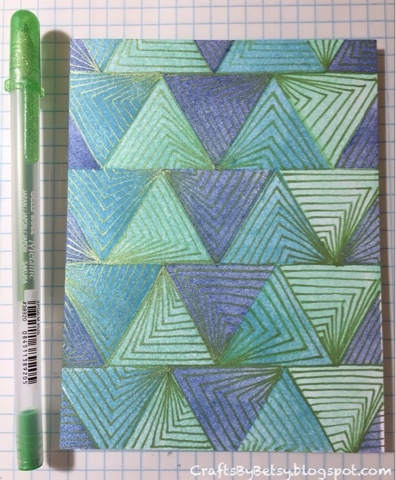 I tangled with a metallic pen and then added shading with colored pencils. I love how it turned out with the distress inked frame and spritzed with water. 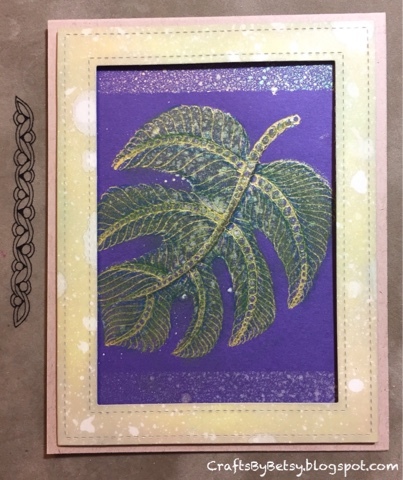 The frame is a die, Outside In Stitched Rectangle by Lawn Fawn. 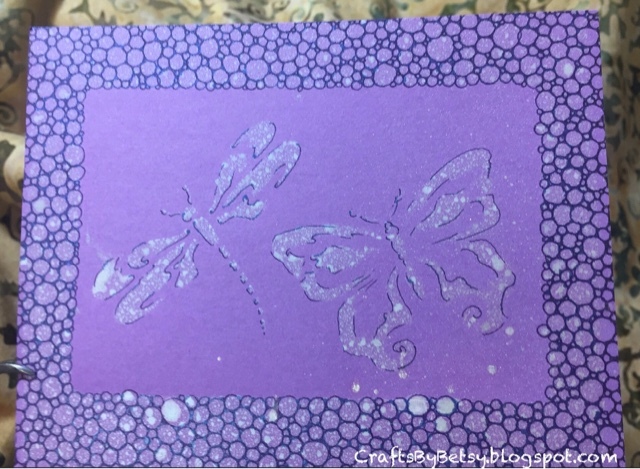 Perhaps these older pieces inspired me to try something similar with stamping. 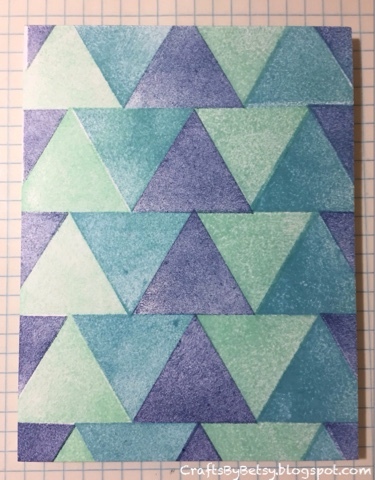 Here I stamped with Distress inks using a triangle from the Altenew set named Trigonometry. After drying it, I tangled Maryhill with a metallic Gelly roll.